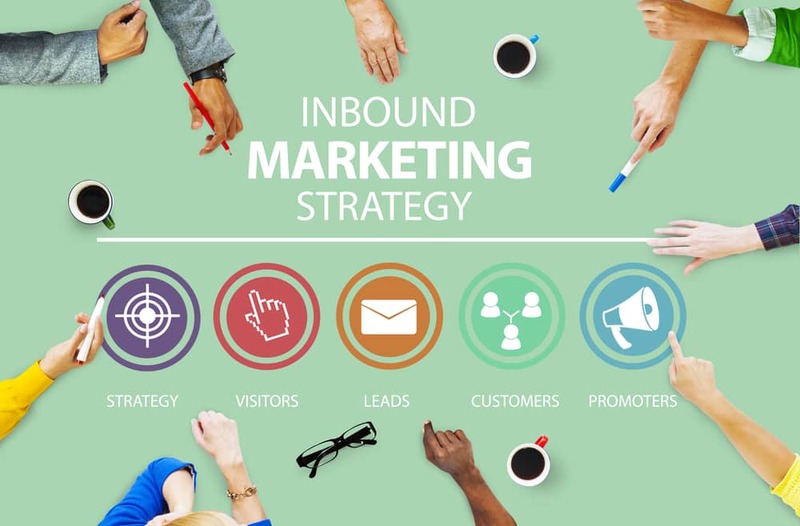 Inbound marketing strategies are a natural match for real estate professionals. With traditional outbound marketing strategies such as radio and print advertising, realtors have to purchase the attention of prospective customers, deliver a marketing message, and hope it works. With inbound marketing strategies, realtors earn the attention of customers by providing them with useful, relevant content that directly addresses their needs. Inbound marketing strategies are particularly well-suited for real estate professionals, because you have so much useful knowledge you can share with your customers. Creating useful content is only part of a successful inbound marketing strategy, however; you also need to know where and when to post that content so it will have the most impact. That’s why For Sale Marketing has partnered with HubSpot – using HubSpot’s marketing automation system, we can measure, analyze, and adjust your inbound marketing strategies to make them as effective as possible. To help you understand why HubSpot-assisted marketing strategies are the best inbound marketing strategies for real estate professionals , let’s take a closer look at some of the real world results that HubSpot customers are achieving. HubSpot’s marketing system revvs up realtors’ inbound marketing strategies so they can generate more leads in a shorter amount of time. Marketers are achieving exponential lead growth using HubSpot; in fact, HubSpot customers who engaged in inbound marketing strategies averaged an incredible 9,100 leads over an 18 month period. Just imagine the effect that many leads would have on your real estate agency’s bottom line! A well-written, informative blog is one of the most effective inbound marketing strategies for real estate professionals. 82% of marketers who blog on a daily basis acquired a customer using their blog, according to HubSpot’s market research. Blogging can still be effective when done less frequently; 57% of HubSpot marketers who blog just once a month also found a customer. For Sale Marketing can use HubSpot to maximize the marketing reach of your real estate blogs in several ways. It helps us identify the blog topics your customers prefer so you can build your brand as the go to source for real estate information; having the most relevant information also helps to attract more traffic to your website. Using HubSpot we can find the most clickable keywords for your blog so it can gain and keep a high search rank to make it easier for real estate customers to find you. Real estate SEO or search engine optimization is the process of making your website, blog, and other online strategies highly visible in search results. It’s a great way to generate not just leads, but leads that convert – HubSpot studies show that 15% of their customers’ SEO leads converted at an above-average rate. Using HubSpot, we can identify the best keywords to use in your content to increase the visibility of your real estate website, blog, and social postings so they achieve the high search ranks that are so critical to your real estate success. A robust real estate social marketing strategy has the power to build relationships with your customers and turn them from strangers into signed clients. For Sale Marketing can help you develop a social marketing plan that uses a variety of channels to reach your audience. In a year’s time, 52% of HubSpot’s marketers found a customer via Facebook; 43% found a customer through LinkedIn, and 36% found a customer via Twitter. Utilizing several social marketing strategies at the same time, we can extend your marketing reach and build a vital, engaged customer base. Personal referrals remain one of the most reliable ways for real estate professionals to build their client list. With a once-a-month email newsletter, you can engage new real estate customers while maintaining that top of mind status that ensures your past customers will recommend you to their friends. Email marketing can be surprisingly affordable; 27% of HubSpot marketers realized below-average CPLs for their email marketing strategies. Using HubSpot’s buyer personas makes it easy to segment your contact list to create a targeted real estate email marketing strategy that is hard to beat. Now that you realize just how effective HubSpot Real Estate Marketing Strategies can be, it’s time to start putting them to work for you. As the real estate marketing agency Boca Raton businesses rely on for expert marketing services, For Sale Marketing has the experience and skills to help you create a dynamic inbound marketing campaign that incorporates one or all of these real estate marketing strategies. Whether you just want some real estate blogging tips or need to engage our expert real estate SEO content creation services, you can always count on For Sale Marketing for assistance. Contact us at For Sale Marketing today at 954-779-2801 for more tips on inbound marketing strategies along with a full range of real estate content marketing services to ensure your success!